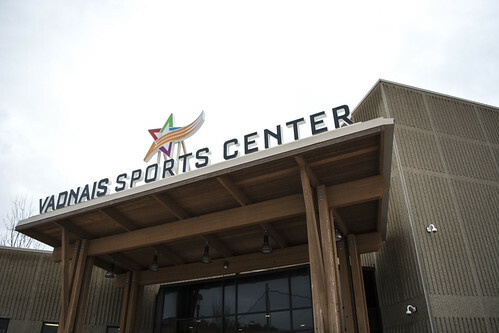 Ramsey County is seeking a long-term, community-minded title sponsor for its popular Vadnais Sports Complex. Located at the high-visibility intersection of Highway 61 and County Road E in Vadnais Heights, the complex features year-round programming on two indoor NHL regulation hockey rinks with seating for nearly 2,000 fans. A connected indoor turf facility of approximately 80,000 square feet is planned to open late in 2020. The center draws more than 710,000 users and visitors per year. Title sponsorship includes exclusive naming rights for the center with logo representation across dozens of high-visibility facings. Monument, exterior, entrance and directional signage. Rink, dasher board and locker room signs. Wall, floor and fixture signage. All promotional materials, online presence, custom URL and social media postings. The center is used every day of the week by school and club teams who rent ice and turf time for tournaments, competitions and practices. Regular sports include hockey, figure skating, winter softball, youth softball, football, soccer, baseball, gymnastics and lacrosse for youth, high school, college and adults. Open skate and general activity times are also offered throughout the week to the public. The center has also played host to numerous special events such as community expos and trade shows. The center also features on-site parking, concessions, conference/general purpose rooms for title sponsor use as well as a connection to Sak’s Sports Bar. Contact Mark McCabe (651-363-3777) for more information.